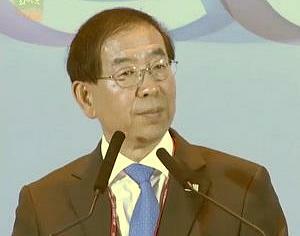 Ecomobility is emphasized in the Seoul Declaration, signed in this city of 10.5 million people. 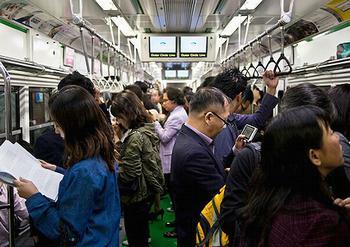 The sprawling Seoul metropolitan area is much larger at 25.64 million. In May 2013, the Seoul metropolitan government made electric cars available for rent throughout Seoul under its Electric Vehicle Sharing program. Drivers can book a Kia Ray EV online. Charging is free and the rental expenses include insurance costs. Seoul officials recently announced that the city plans to cut greenhouse gas emissions by 10 million metric tons over the next five years as part of the fight against global warming. Seoul plans to encourage 10 million of its citizens to take individual actions, including purchasing electricity from renewable sources, recycling and taking public transport. During the ICLEI World Congress opening day on Thursday, UN Secretary-General Ban Ki-moon delivered a message commending Mayor Park for his leadership on urban sustainability. The UN chief expressed his belief that cities would drive a global transformation and encouraged them to strengthen their networks. Mayor Parks Tau of Johannesburg praised the emphasis on EcoMobility and reminded participants that Johannesburg will host the second EcoMobility World Festival in October, during which the Central Business District of the city will be closed to cars. No cars will be allowed in the Sandton Central Business District. Instead, walking, cycling and use of public transport for the entire month will be encouraged. This unique event is taking place as part of the EcoMobility World Festival. Johannesburg is the first city in Africa and the second city in the world to host the Festival. “The EcoMobility World Festival is a once-in-a-life time opportunity for the local community to try out a scenario of future sustainable living,” commented initiator and Creative Director of the EcoMobility Festivals, Konrad Otto-Zimmermann, a former head of ICLEI. “It means experiencing and showcasing an ecomobile lifestyle in a real city, by real people, in real time,” he said. “We encourage investment in smart urban infrastructure, smart governance, information and communication technologies (ICT), performance measurements, indicators and standardization, sustainable construction and planning, and promoting local renewables,” the Declaration states. James Nxumalo, the Mayor of Durban, South Africa and ICLEI Vice President, welcomed the commitment of the Seoul Declaration to new cooperation initiatives between cities and small island states on adaptation and resilience. Mayor Kinlay Dorjee of Thimphu, Bhutan, described how Bhutan has established a Gross National Happiness index, introducing meditation and the study of green initiatives in schools.